Hi guys! How's your week going? I've been keeping pretty busy, as I always try to do! Now that the weather is warm enough that I'm able to function outside without risking hypothermia I've been running more consistently. Running is my favorite way to move and release all of the energy that I receive from the beautiful foods that I eat. I love waking up in the morning, drinking a liter of lemon water, and getting outside for a run. Two miles, four miles, ten miles, it doesn't matter because when I get back home I am always buzzing with energy and ready to be productive. This morning I was on my run I was thinking about what I could make to share with all of my favorite people. That's you guys, just to clarify. This is what i came up with. Strawberry Chocolate Crepes. Yesss. I took these photos outside which I was excited about because the natural lighting in my kitchen isn't so great. When I move out that is one big thing I'll be looking for in a home, let me tell you. Anyways, I accidentally ate these for an afternoon snack. I was photographing my little crepe friends and decided to take just a bite, which turned into 2 bites, which turned into 2 crepes, which ultimately turned into pure happiness. Plus, since it's warm out the crepes were warm as well making them so so tasty. The crepe itself is made of 4 simple ingredients. It's so easy. Just give it a quick blend and pop it into the dehydrator for a few hours. The filling is just strawberries, which is just as easy. Speaking of strawberries; we have a ton of wild strawberry blossoms in our field and I can't wait to be able to pick and eat them all. Eeek. Back to the crepes though, let's focus on one thing at a time. The crepes are topped with a smooth chocolate sauce that is my absolute favorite. I ate the remaining chocolate straight out of the blender. Mmm! 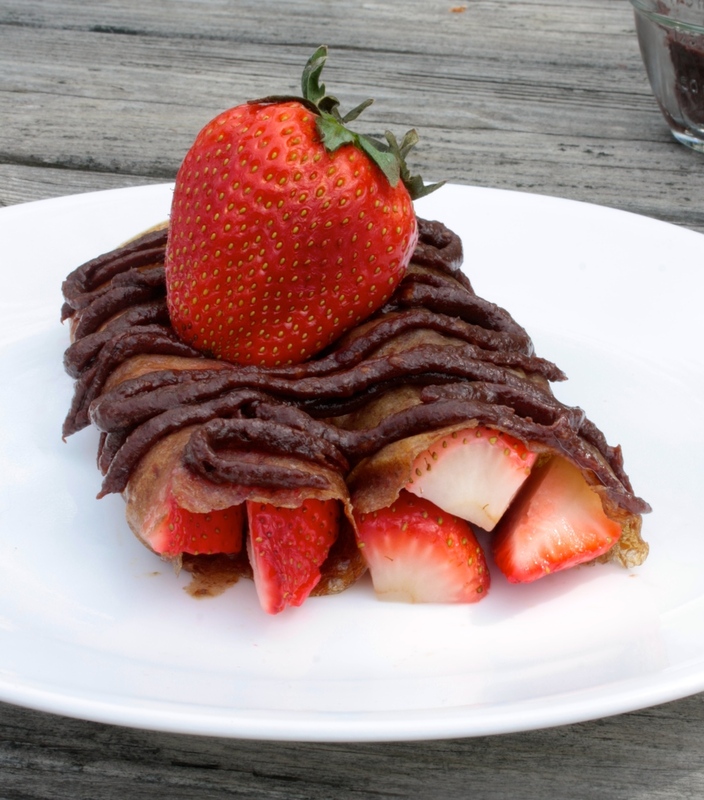 Combine the crepes, strawberries, and chocolate to have a "berry" happy day! Blend together all ingredients and place in dehydrator at 110 degrees for 5 hours. Use texflex sheets or parchment paper. Do not use wax paper. 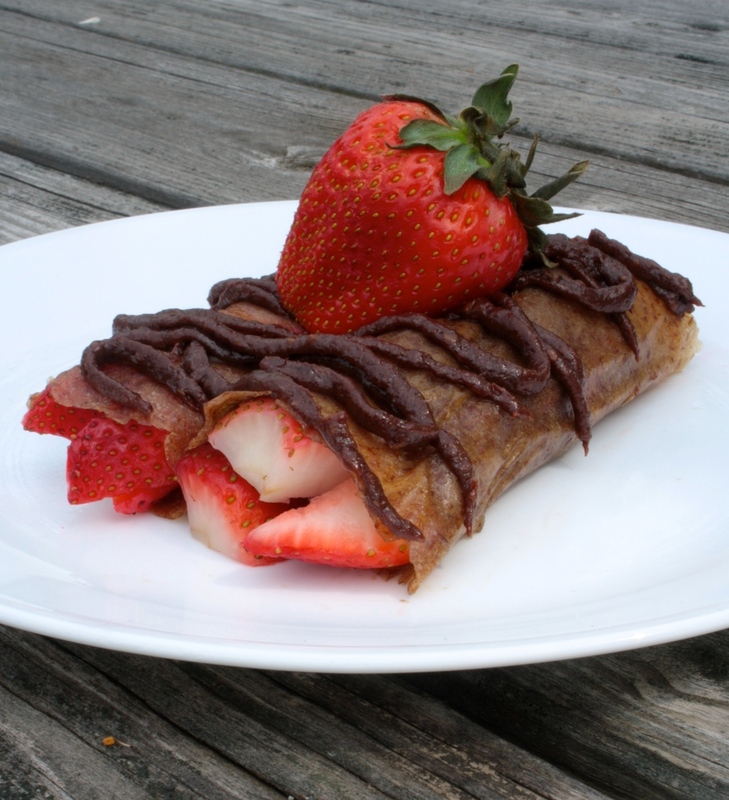 Once crepes are baked, fill will strawberries and roll them up. Blend together ingredients until smooth. 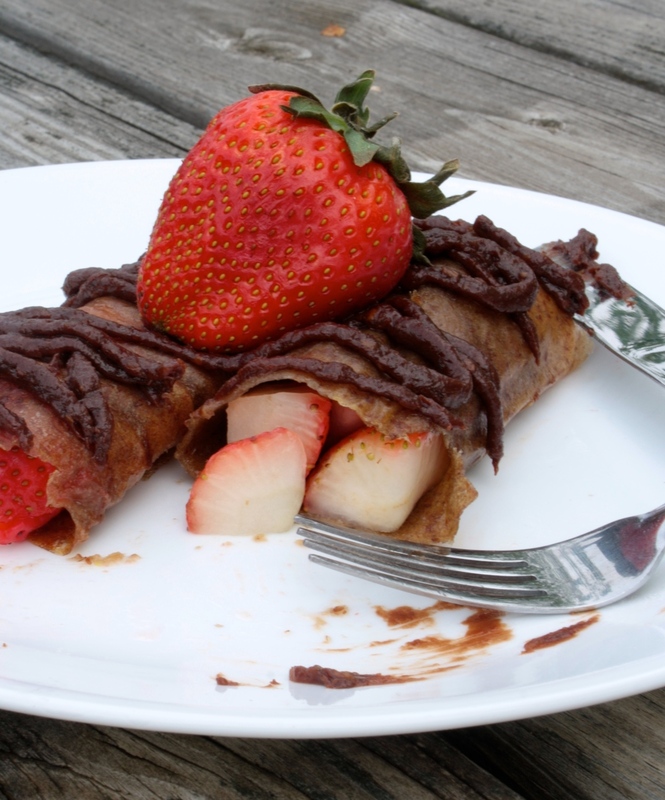 Use a piping bag to squirt chocolate on top of crepes. Serve, enjoy!